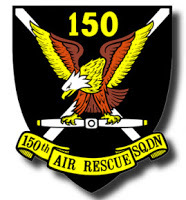 Squadron 150 will be focusing on aircrew emergency services training during our meeting this week (28 June 2018). The topic of our training is the Garmin G1000 flight instrument system used in many Civil Air Patrol aircraft. Our ES team will also set up a G1000 computer simulator so that members can get hands-on experience with the system. 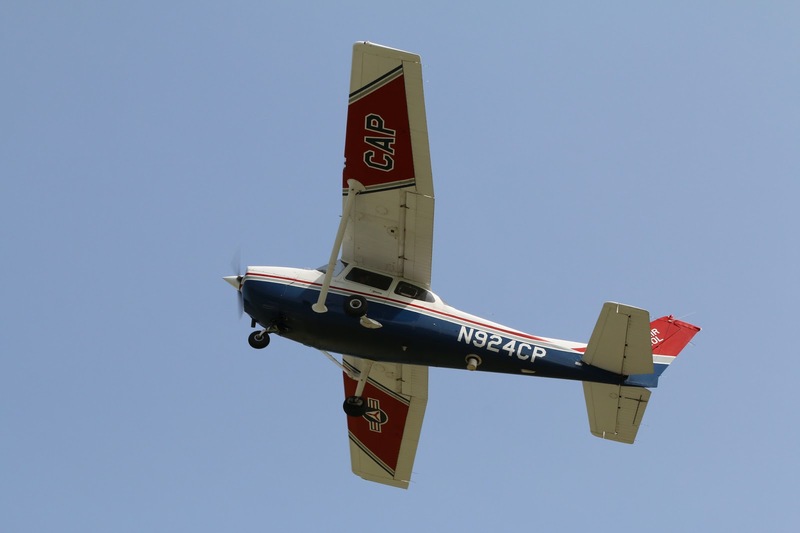 Civil Air Patrol has been credited by the Air Force Rescue Coordination Center (AFRCC) with saving 128 lives thus far in fiscal year 2018! Yes, Civil Air Patrol (CAP) is well known for our airplanes, aircrews and ground team functions; yet without the ability to communicate with one another, we wouldn't be able to perform our missions. This is where the valuable CAP communications team enters in! Our communicators make it possible to direct CAP's members to where we need to be, to monitor the safe operation of everyone involved, and to disseminate information, no matter the situation. Our squadron meeting this week (14 June, 2018) will be a training exercise which will simulate actual mission conditions to give our members hands-on experience operating the radios, communicating with crews and performing the various tasks that our communications personnel would do during a mission. Our thanks to Maj. John Frerichs for facilitating this training! This month marks the start of the 2018 hurricane season. 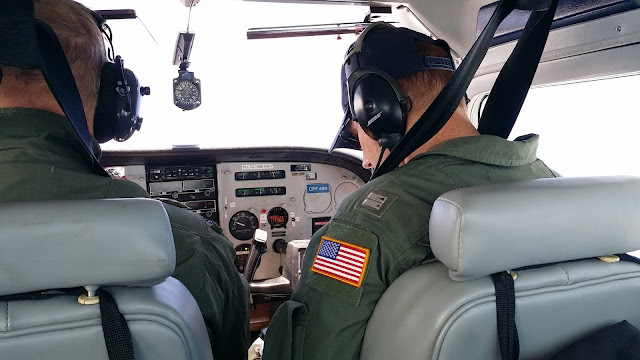 While no one knows what sort of activity the next few months may bring, the 2017 season proved unusually eventful, with three major storms striking in August and September and testing Civil Air Patrol’s ability to respond to such a destructive onslaught. Members from throughout CAP stepped up to carry out what quickly grew into one of the organization’s largest missions ever. Their training, dedication and capabilities proved more than equal to the task, and they stand ready to repeat last year’s achievements, if called upon to do so. A trio of costly and deadly hurricanes put the training and capabilities of CAP members to the test in 2017. In August and September, severe flooding near Houston caused by Hurricane Harvey devastated the area and caused more than $125 billion in damage, making it the costliest hurricane of the year. September also saw Hurricane Maria hammer the island of Puerto Rico, resulting in $90 billion in damage, and Hurricane Irma, which caused $50 billion in damage, swept over the Caribbean and Florida. Combined, the hurricane season cost at least 251 lives and proved to be the most demanding ever for CAP, whose missions surpassed responses to previous record-setting storms like hurricanes Katrina and Rita in 2005 and Superstorm Sandy in 2012. CAP provided an unprecedented amount of support to impacted states during the 2017 hurricane season. In all, 1,061 volunteers from 44 CAP wings and regions across the country supported 1,196 CAP sorties; 118 aircraft flew 2,840 hours over affected areas in Texas, Louisiana, Florida, South Carolina, Puerto Rico and the U.S. Virgin Islands. CAP provided 498,397 photographs to emergency management and responders to help focus response and recovery efforts. The 2,840 flight hours toward the end of the fiscal year put CAP over the 100,000 flying-hour mark for 2017. Capt. Luis Herrera, the Puerto Rico Wing’s inspector general, witnessed the chaos over his native island and neighboring islands from the air as a CAP pilot. Herrera and others were tasked with taking pictures of damage caused by Hurrricane Irma over Puerto Rico and the Virgin Islands. The Category 5 storm made landfall on the island on Sept. 20, and the devastation it wrought resulted in the Puerto Rico Wing springing into action to support flight operations in a full-scale disaster relief mission. Herrera felt the storm’s impact in his personal life, as he and his family depended on a portable generator to help keep their refrigerator as cold as possible, occasionally charging electronic devices and running fans in order to keep cool at their home in Bayamon, south of San Juan. 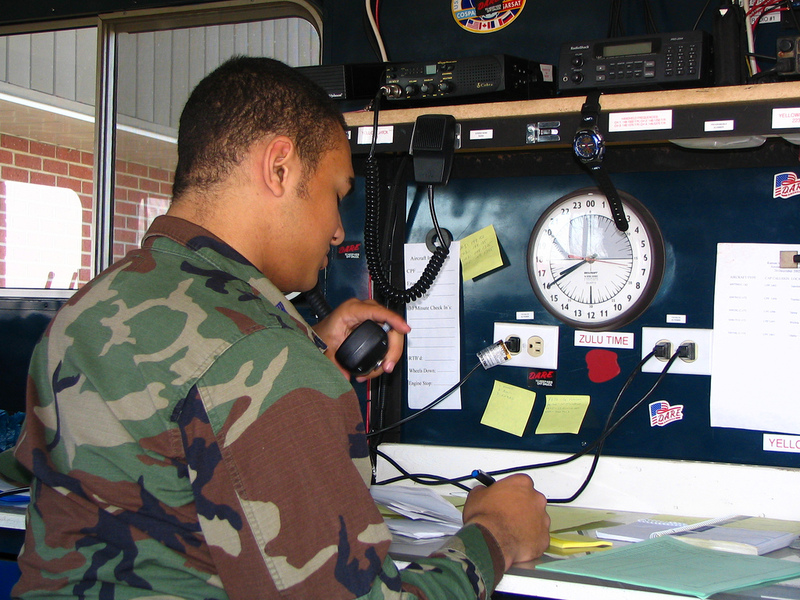 Civil Air Patrol provided assistance through aerial reconnaissance and damage assessment flights. Aircrews from the Puerto Rico Wing and other CAP wings took more than 80,000 photos during nearly 600 hours of flight time. The images helped the Federal Emergency Management Agency and other emergency responders focus their efforts on the most affected areas. Twelve-hour days were typical, with members assembling at 7 a.m. for a briefing before launching morning sorties. Upon debriefing after their return, crews took a quick lunch break before launching additional sorties in the afternoon. Days were wrapped up with a final debriefing before exhausted personnel uploaded their photos to FEMA..
Lt. Col. William Wallace of the Georgia Wing, one of four incident commanders who eventually flew to the island, oversaw the members from Puerto Rico and the mainland U.S. as they put in long hours under stressful and uncertain conditions. Faced with washed-out roads and debris-strewn landscapes, they worked to re-establish their repeaters and mission base communications capabilities. “For the members that came from the continental U.S. to help us, I can only say that it was a privilege working with them,” Herrera said. “They were key to the success of all the tasks requested of us. CAP training was essential for this. We worked as a team, like we knew each other from before. Harvey hit southeast Texas and southwest Louisiana with 130-mph winds before dumping 50 inches of rain, with major flooding adding to the widespread catastrophic damage, especially in the Houston area. All 857 CAP members residing in the vicinity were affected, each with stories of lost family members or friends, rooftop rescues and destroyed property. Members of the Texas Wing took to the skies on Aug. 31 over Corpus Christi and Rockport, cities hit hard by Harvey. With the need to cover nearly 255 miles of shoreline and 23,000 square miles, Lt. Col. Rick Woolfolk, incident commander, realized that more help was needed. From the first day of the response to Harvey, volunteers from four different CAP regions as well as National Headquarters were working at the incident command post. The second day saw more CAP members pouring in from the Great Lakes, North Central and Rocky Mountain regions, in addition to the Southwest Region.